I love the paired images in Flickr's Then and Now Group Photo Pool, though some of the attempts to recreate historical photographs are more successful than others. 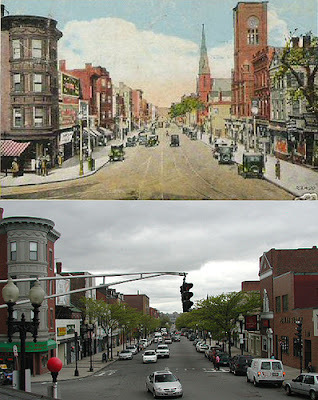 Irish Hermit's shot of Perkins Square in South Boston is just about perfect. Very interesting photo pool. Thanks for the link.